Community members who occupy the State Land at Naidovi in Cuvu, will be receiving their 99-year lease at the end of this year. 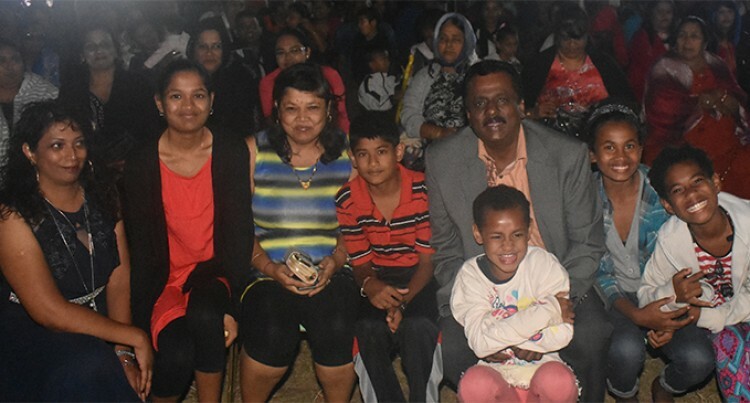 This was confirmed by the Minister for Local Government, Housing & Community Development, Infrastructure & Transport Parveen Bala, who officiated during the closing of the Cuvu Carnival at the FSC Ground, on Saturday night. The work on the project started in September 2014 with plans to improve the drainage system, roads, sewerage, water and fire services are all underway. This was in close collaboration with the relevant stakeholders; Fiji Roads Authority (FRA), Water Authority of Fiji, and National Fire Authority. “There were a lot of challenges faced since the project started and it has taken a long time to be complete,” Mr Bala said. Cuvu Informal Settlement president Mukesh Chand, 66, said: “We are very happy about this news since 1973 where we had started this. So many Governments came and gone, but nothing happened. He said there were 125 homes in this part of the squatter settlement and likely to be more than 3000 people. “We have been meeting with the minister, the director for Housing and other parties in this project,” Mr Chand said. Meanwhile, in January 2016, Prime Minister Voreqe Bainimarama distributed approval notice to lease (99- year lease term) for 32 families. Minister Bala also revealed that a mini market near the Police Post in Cuvu is under construction by the Sigatoka Town Council. “All those, who are interested can register their interest with the Sigatoka Town Council because in two weeks we will open that mini market,” he said.